Traveling the stunning Koh Samui Island, you should definitely make a visit to Chaweng Beach during the fine weather. The beach promises to be an ideal destination for those who are engrossed with sea admiration and exploration. 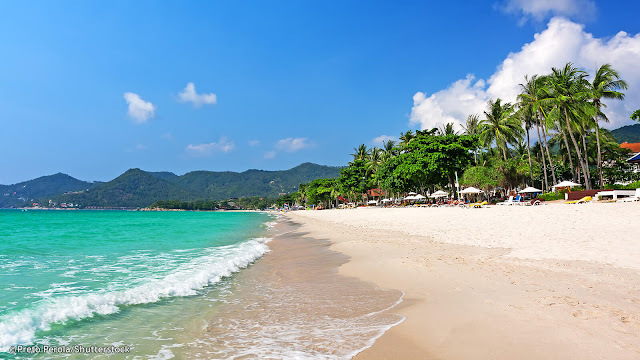 It has fascinated holidaymakers by the distinct features of a tropical paradise, including from crystal blue sea water, smooth sandy beach, and rows of coconut palms swaying in the wind. Moreover, Chaweng Beach offers necessary conveniences. Thus, you might engage in various kinds of interesting water sports, enjoy both local and Western tasteful dishes at restaurants running along the shore, and taste snacks at food stalls. During your journey to Koh Samui Island, you should make full use of your time to explore the stunning scenery of Ang Thong National Marine Park - a complex of 42 beautiful islets in the Gulf of Thailand. Additionally, you have a chance to admire limestone cliffs, emerald – water lakes, pristine beaches, colorful coral reefs of unique shapes, etc. Thus, you would certainly have memorable experiences after making a visit to this amazing park. After relaxing on the beach, you might make a visit to the sacred Wat Phra Yai Temple, a famous Buddhist temple and an important tourist attraction on Koh Samui Island to explore local culture, tradition, and religion. The temple is characterized by a 12 - meter – high gold – painted Buddha statue that is carved in the Mara posture. Today, the statue is the symbol of Buddha's calm and purity. 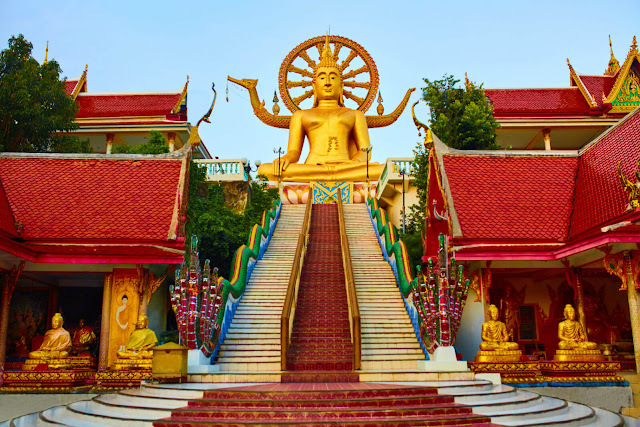 Additionally, the holy temple is a place of worship and a well – known tourist attraction to both travelers and Buddhism followers within and outside the region. 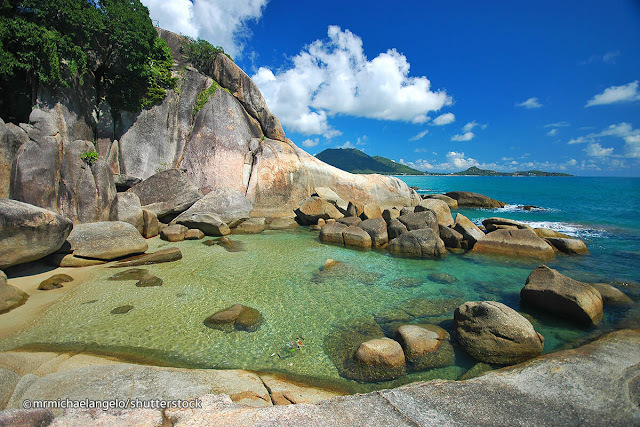 Visiting the island, you should make a visit to Hin Ta and Hin Yai Rocks (also known as the Grandmother and Grandfather rocks) to take the best check – in pictures. Legend has it that Hin Ta and Hin Yai were transformed bodies of an elder couple known as Ta Kang and Yai Riaman who were unfortunately died on the way to the island to attend their son’s wedding. However, according to several theories, these two rocks have been formed over millions of years due to the wind and wave. To reach these rocks, visitors need to pass a short narrow passage lined with small shops, souvenir stores, and stalls offering handmade items. If you are a big fan of traditional Martial Arts, you might give “Muay Thai”, one of the most “fierce” sports in the world, a try. The traditional art that originated many centuries ago has been preserved and conserved. 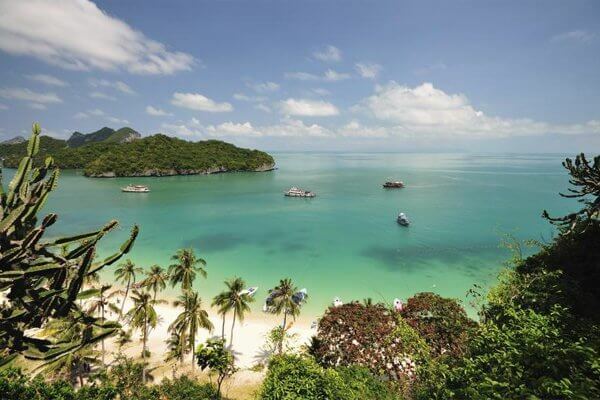 Visiting the island, you might go to Muay Thai training camps in Samui to attend short training courses of masters. Moreover, you even register the package at the camp including personal trainers, gym room, accommodation, and meals.